This 6 bedroom 4 bath estate recently completed construction and was professionally decorated to be released as a brand new vacation rental beginning mid 2018! Bright and airy, this home pops with vibrance and color in every room. Enjoy your very own dock, pool and perfect outdoor space for entertaining. 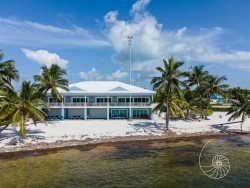 Conveniently located on the bay in the heart of Plantation Key and within walking distance to several restaurants and activities. Snorkel and sunset sails, paddleboard, shopping and suntanning all await you when you stay at Bay 88.